The School of Education works in partnership with the Red Kite Teacher Training to deliver School Centred Initial Teacher Training (SCITT) and School Direct training, providing the professional grounding you need for a successful career in teaching. Red Kite is an alliance of over 40 primary, secondary and special schools based in and around Leeds, Harrogate and Skipton. 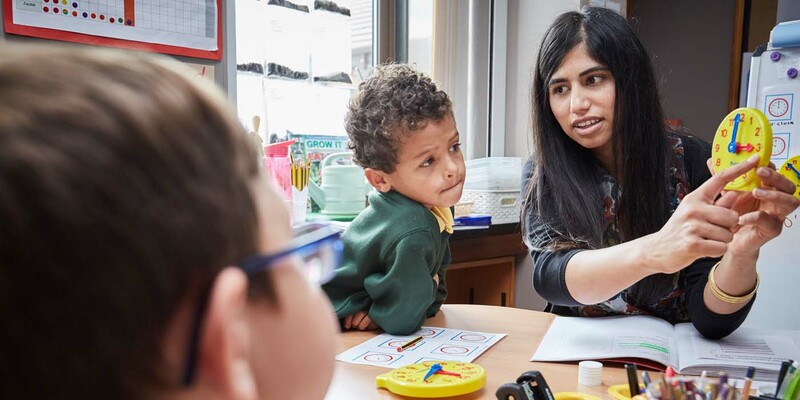 Successful completion of the Red Kite course with the School of Education means you'll be awarded Qualified Teacher Status (QTS) through Red Kite, and you'll receive your Postgraduate Certificate in Education (PGCE) from the University of Leeds. Red Kite have an excellent record of supporting and bringing talented new teachers into the profession through high quality training, delivered by experienced teaching practitioners in partner schools. to work towards 60 Masters credits that can be transferred into a range of professional development Masters courses. DfE teacher training bursaries up to £26,000, which can be used as payment for fees (subject to availability). All applications for teacher training are made directly to our Initial Teacher Training Partner through UCAS Teacher Training. You can choose up to three courses in the first application round and will need to complete a personal statement and provide two references. At interview, you may be asked to complete a subject audit and take numeracy and literacy tests. 2JB for secondary School Direct courses. For more information on training to teach with the School of Education, read our step-by-step guide on how to become a teacher.